Whether it’s a defined goal, aspirational resolution or just a subconscious want, “Make the website better” is a common theme this time of year. The first quarter is kicking in, so it’s time to get started. 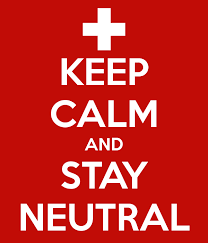 But before you do—and this is important—step back and adopt a neutral perspective. Don’t automatically hate your website, but don’t fall in love with it either. Instead, if you look at it through the eyes of an uninterested-but-reasonable shopper, you might see things you can improve. Quick! What’s your site about? Within a few seconds, your visitors should know what your site is about and have a good idea how to navigate it. Returning visitors should have a feeling of confidence and familiarity. Make sure your visitors know what’s in it for them: a great deal, a new product or a quick path to the information they want. This should happen fast with no ambiguity. Appearance is important. Do your pages look strong and up-to-date? Does your site appear up to the standards of a professional business, or does it look like it was coded by your nephew in 2007? Is it welcoming and intuitive? Is it ready for a modern and sophisticated user whose expectations of online experiences grow by the day? Would you buy from a website that looks like yours? Are your keywords really hitting? Sure, the keywords that worked a few years ago might still be working. Or maybe not. Knowing exactly what your target audiences are looking for, what terms they use, and how search optimization evolves can make a big difference in traffic and search rankings. If you haven’t done a keyword analysis in a while, it’s time. Be honest: Are your pages fast enough? If web pages don’t load in a split second and users have to wait to see them, the propensity to click off is higher than ever. Users aren’t patient. Slow-loading pages not only keep customers away, but search engines don’t like them much either. Do your visitors get lost? Here’s why good website navigation is so important: Aside from the human experience, usability influences your search engine rankings. Make sure your site’s navigation is intrinsically easy enough to let visitors know where they are, where they came from, what their options are and how to complete the sale or desired action. The easier it is to navigate your website, the higher your conversion rate. Simple as that. Do you offer compelling content and a clear call to action? Stale and boring content isn’t flattering. And it’s not effective. Make sure your pages are interesting, current, informative and error-free. Answer the visitor’s inherent question, “What’s in it for me?” as clearly as possible. Do some periodic refreshes. Update some photos. And most of all, make sure each page features a clear call to action. Hey, we get it—it can be a little overwhelming. That’s why we’re here to help. Drop us a line and we’ll walk through these things together. Soon, that tuned-up site will be hummin’ right along for 2016.